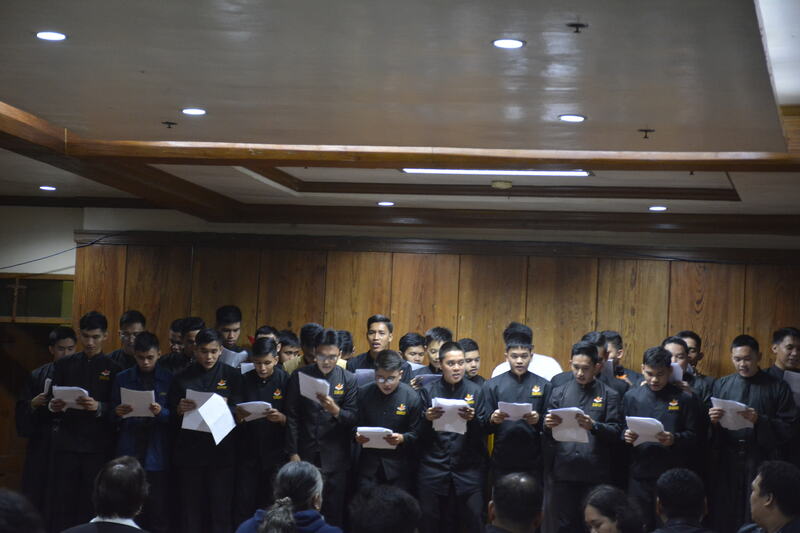 Baguio City — Senior High School (SHS) and college seminarians of Casiciaco Recoletos Seminary began the new academic year with 2-day enhancement classes to improve their English language proficiency. Dean of Studies and SHS Principal Fr. Anthony Irineo, OAR designed the enhancement classes not only for seminarians to review their English but also to bring their minds back to the task at hand. The classes focused on improving the seminarians’ reading, writing and speaking skills in English. These were handled by the seminary’s lay formators: Ma’m Marisol Afuang, Ma’m Jovita Caluza and Ma’m Milanie Dalingay. As culminating activity, the seminarians presented an output before the religious and lay formators, and some members of the Secular Augustinian Recollect Fraternity (SAFR) during the breakfast immediately after the Mass of the Holy Spirit. Ma’m Afuang’s advisorship did a chorale reading of Edgar Allan Poe’s “El Durado” and the sinister-sounding poem “The Bells.” Ma’m Caluza’s class presented a Reader’s Theater while Ma’m Dalingay’s group produced a pseudo-serious TV broadcast replete with entertaining commercials. 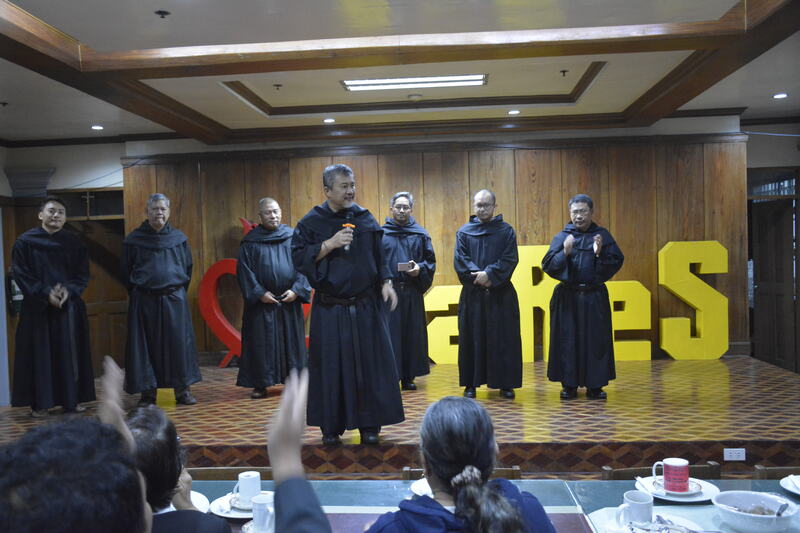 During the program, the new set of formators and professors were also introduced and the 23 neophyte seminarians were properly welcomed. Fr. Irineo also presented the organizational structure of the seminary where, beginning this school year, a demarcation line has been drawn to highlight the separate structures of the seminary administration and the school’s. After the program, the faculty members held a meeting at Café Adriana located along Outlook Drive in this city.